lips | I Get Dressed In The Morning! Review! 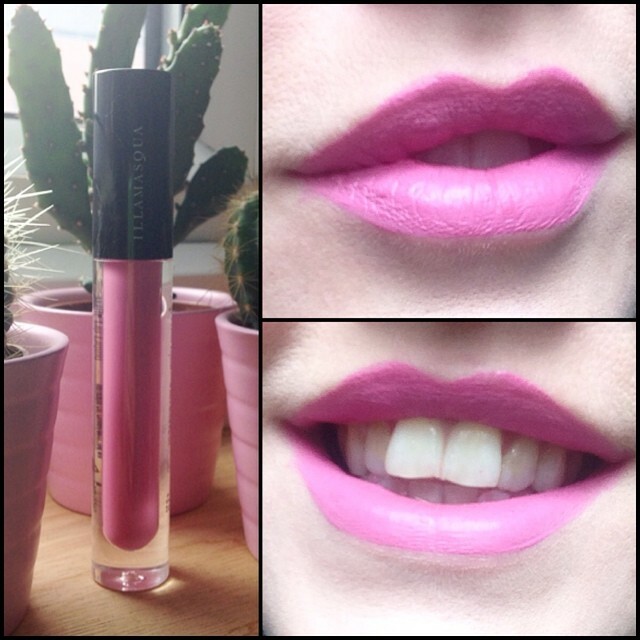 Illamasqua Matte Lip Liquid! Looking back at my last review I have noticed how my makeup technique has changed. Thanks to my wonderful make-up artist friend Charli XO, I picked up some tips and tricks and have come on leaps and bounds with my eyebrows especially, but that is a post for another day! Today I will be focusing on the Illamasqua Matte Lip Liquid I got recently when I painted nails at an Illamasqua shopping event (more on that later! and yes, it was super exciting!). The colour I opted for is called ‘Forbidden’ and you can see (and buy) it on the Illamasqua website here. I have always had great trouble finding lipstick that stays on my lips, and doesn’t just go all over these goofy teeth of mine, or come off my lips all together! I decided to give this lip liquid a try after I popped a swatch on my hand, and after leaving it to dry, noticed it didn’t budge at all! If i’m honest, I never expected it to work wonders, because lipsticks very rarely stay on me for very long, but boy was I surprised! I applied this at around 9am, whilst getting ready for work, it took two coats to get the super solid look in the picture above. My first coat was quite light, and I rubbed my lips together a little, and my second coat was to really pile on the colour and define the lip shape. The application brush is PERFECT! I found it really easy to get a super flattering cupids bow, with other lipsticks, glosses and pencils, I have always found I end up looking like I have wonky lips! And can we talk for a second about the packaging? That super cute crystal clear tube makes the product seem candy-like and looks simply delicious! I will say though, I think next time I wear this, I will moisturise my lips a little first, but that is simply because my lips are so dry anyway, it didn’t help to make the lip liquid look as good as it could have done. I didn’t really feel that the product itself had any kind of drying affect on my lips at all. I ate breakfast (a banana) at around 10.15am, and didn’t have to re-apply after this. I then lasted until 1pm without thinking about my lip situation at all, because I felt so comfortable that I still had such a solid look. After my lunch, I re-applied once, at around 1.30pm, and then really didn’t have to think about it again until I went to see my boyfriend at 6pm, when I just added a quick coat to brighten up the colour. If I hadn’t been going anywhere after work, that would have been the day over for my lip liquid at 6pm, and I would have only had to re-apply once! I would say that this is, without a doubt, the perfect lip product for me. I am so in love with the vibrancy of the colour, as that reflects my character so well, and the staying power is a big plus point from me. It’s ideal if you work in a kind of job where you can’t be nipping off to re-apply make up all the time, and you want to know you look awesome, without having to constantly check for smudges! I just really want them to make this in every colour imaginable now, especially slime green!! An all-round wonder product, if you ask me! I know other matte and velvet lip products exist out there, does anyone have any recommendations? what are your favourite trusty, stay-put lip essentials?